Ha Ha - you are late my friend. I am already here. I loved the first chapter and Hyun Joong you are NOT alone, ALL the fans of the world are by your side. 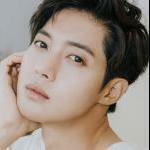 More than anything I’m surprised that there are drama-makers who still consider idol-turned-actor Kim Hyun-joong (Age of Feeling, Playful Kiss) employable, but he’s just been confirmed to a series called When Time Stops. To put it plainly, his name is mud in showbiz circles these days, and I’d really thought there was a chance his career was toast. That could still be the case, but at least now he’ll have a chance to work his way back with the fantasy romance drama featuring a main character with superpowers — specifically, time traveling, because we’re not quite done with that trend yet. When he meets the heroine and falls in love with her, he also apparently finds the meaning of life. The drama marks Kim’s return to television after four years away, his last drama being 2014’s period action series Age of Feeling. Oops - on Air? or RAW now? I got confused - sorry. I can send you the link I watch it now - but only as PM. I haven't watch the whole episode yet just snippets from BSP Official in youtube, no subs. So happy Viki is working on it - we will have great subs soon. I will for sure watch it - like it so far. I was watching (and enjoying) but the subs ran out about 20 minutes in. So frustrating. Hopefully I will be able to watch the rest later. The one thing I know: really kinda hate that tenant who is living in her building. Can see drama evil ahead there. Its pretty darn cool it very supernatural if thats your thing. It is actually. Okay, I will check this out then, since one drama just ended this week and another one will end next week. It's hard for me to say on only 20 minutes of watching but I did think it had potential. My watchlist is way too full right now and I'm thinking of watching When Time Stops anyhow. Now if I can just deal with the subs issue! I have not started watching it yet, but I see it got only a .1% rating on pilot. Guess I will have to check it out to see why - maybe just related to the past scandals. I finaly watched it on Viki - juhuuu - subs are out for both episodes. First I forgot to turn the comments from other viewers off - soon I read them to find out what others thinks... I never liked persons who are just watching to share bad comments... It will not become so easy - but for me - I am in! The first Episode for me was a bit slow - but it was needed to let us all know what is going on. And yes - I too hate the tenant from flat Nr. 301 (if I recall it right). Looks like Sun As Father took out a loan - and tried hard until he died to pay it back - because he never wanted to sell the house. Or it was Sun A who took out the loan? Need to check again I guess - so or so - the loan shark works together with a rich woman and another woman who lies to Sun A all the time and acts like she was a friend of her father - but in real don´t want to find tenants for Sun As House. They really try to push her in the corner to sell it - give it up. What I don´t like about Sun A is that she is not even able to stand her ground against the tenants. She is so easy to let herself used. I know - the story would not work otherwise. But still... she is hardworking - can endure a lot - but she can´t make it clear that she needs the money. I wonder what the tenants will do if they knew that the house it about to get sold - lost. They would never be happier with the new landlord - I am sure the rent will increase a lot - or they have to move out. But they all just use the good heart - or let me say weak heart of Sun A. Only one guy - I am not sure about. He seems to like Sun A - maybe he really is in a difficult situation - we will find out. At least he helps Sun A a bit. And he already noticed the rival in the house. For Joon Woo - we need to see what he will do now. He is used to be alone and never could even tell someone what he can do - calling the stopped time - his time. In his Dream we could only see a woman - so she might be related to the reason why he can stop time. He is indeed a thief - but it looks like he is not stealing to get rich or something like that - but to do the right thing for his country. Maybe thats why he is still not found by the Soul Collector and his army of Reapers. Seems like Sun A needed to get in contact with Joon Woo for one time - now she is part of his frozen time too. Thats the only reason I can find - he did it often and Sun A was never involved. I like the Idea with the frozen time - but I had one trouble - hello - bringing all that policeman in position - is he hercules too? It was funny - but a bit too much for me. They should at least show us one picture than how he could do that. I wonder if a car will even work when time is stopped if he used it. - I really hope the audience will give the Drama a chance! i know its not a family show - so we can´t get high rates - and I know about the backstories... but really - I hope they will watch it and decide than. "The abilities that belong to the Gods go down to the humans". How did it happen was it with the rain or a meteor showers? When did this happen was it one-time thing 100s or 1000s or million or billion years ago or it happens from time to time, because if it is a one-time thing then it will be over with the first generation who got it, which means it is not passed down. "When that happens, what do these humans do with this power? They use it for their own purpose." So what as long they are not using it to harm anyone and for good. Who cares? "And what will happen to the world then?" For me, I will get used to it and I'll be jealous but again it comes with great responsibilities and a price to pay. "It becomes messy, obviously". It's already messy so what? "That is why all of you are required". To become the judge and the jury and the executor and just kill whoever no matter what kind of ability they have even if it was a stupid one that's harmless. "You make this messy world balanced by catching those people". They established it belongs to "God" can't he just simply take it back instead of these people going around killing anyone who has it, if they can get powers temporarily it will make sense that there is a way to take it away from the people who has it instead of going around killing people. If they made the organization to protect these people and organize their life and they have to register and anyone who breaks the law gets arrested and locked up in special jail or they take their powers away. Actually - I don´t trust one word of these Soul Collector. I need to see more to find out why and who and where it comes from. I understand that it is always difficult to explain the supernatural. But this guy seems to not really wish to give answers. They killed the humans before but today they are just collecting them - but what will really happen later. We don´t know at all. I was not sad for the guy with the money (just a piece of paper) to vanish - but the boy is on such a different level. Actually - I don´t trust one word of these Soul Collector. I need to see more to find out why and who and where it comes from. I was enjoying the first episode until they reached the part with the Soul Collectors. When the Soul Collector Manager said that God made mistakes, I began to feel deeply uncomfortable because I have serious concerns about blasphemy. Blasphemy is very dangerous (even in a drama). God NEVER makes mistakes. God is perfect and eternal and all-knowing. Even though we human beings may not always understand divine purpose, I believe that there is one and that we can trust God to carry it out. If the Soul Collector Manager is trying to gather all those God-given abilities (especially those that deal with time which he says only God can control) for himself, then he is plotting to try to take over the powers of God and that means that he can only be the antithesis of God: the devil. At this point, I am not sure whether I will carry on watching this show, no matter how good it might be. I can feel you very well - to be honest - i was just the same - this sentence was trouble for me too. I am a Christian - and I really believe.